Our world is made up of a multitude of cultures and ethnicities that are being brought together more and more as social media and technology make communications among each other so much easier and faster. Unfortunately, not everyone speaks the same language, nor are they familiar with the specific cultural aspects of each country or society. This is also true in the medical field. In order to facilitate accurate communication amongst individuals or parties that come from very different backgrounds, it's essential that medical translation services are utilized in order to make sure each party fully and accurately understands the message that each party is trying to convey. In the medical field especially, this can have dire consequences on a particular individual's health if communication is lacking. The list can get quite lengthy within the medical realm. Taking the risk of inaccurate translation among parties separated by a language barrier can have a significant consequence on the lives who depend on it, such as in the case of surgeries and pharmaceutical instructions. This is why is it absolutely essential that the medical translation company that you partner up with has extensive experience dealing with interpretations and translations in the medical field. Even one word translated improperly can prove to have a negative effect. Some will argue that medical translation is one of the most difficult projects in comparison to any other document, if not the most difficult. Basically, the translator or interpreter needs to have a background in the medical field in order to understand medical jargon. If one cannot familiarize themselves with a particular sentence in the original language, it would most likely prove difficult for them to translate it appropriately to the target language. When you deal with a professional, reputable and experienced medical translation service, like AllTranslation.net, you don't have to worry about handing your project over to incompetent hands. 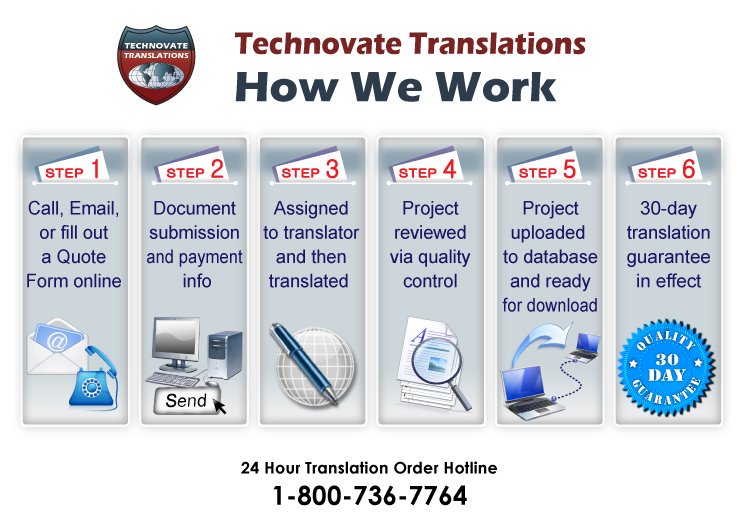 Once a project is delivered to AllTranslation.net, it will be handled by managers who will assign the medical documentation translation project a translator that all the necessary skills, education, native language and medical background necessary to ensure that the client will be completely satisfied with the end product. Contact us today through phone or email and we'd be happy to guide you through the medical translation process today!